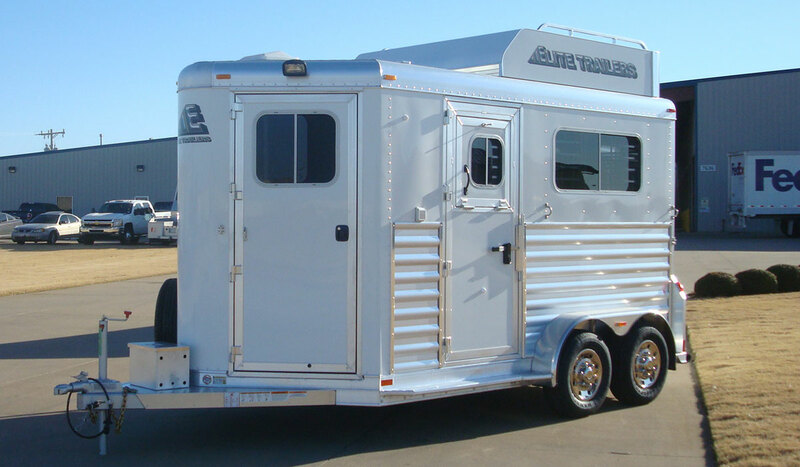 The Horse & Stock Trailer Company will coordinate with Elite to build you a trailer to meet your needs and specifications. 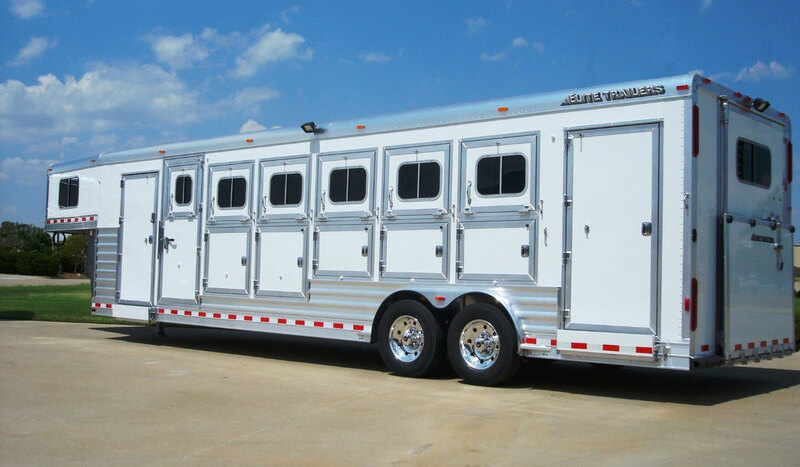 Elite horse trailers are engineered to deliver rugged good looks and the durability to stand up to a wide range of hauling. 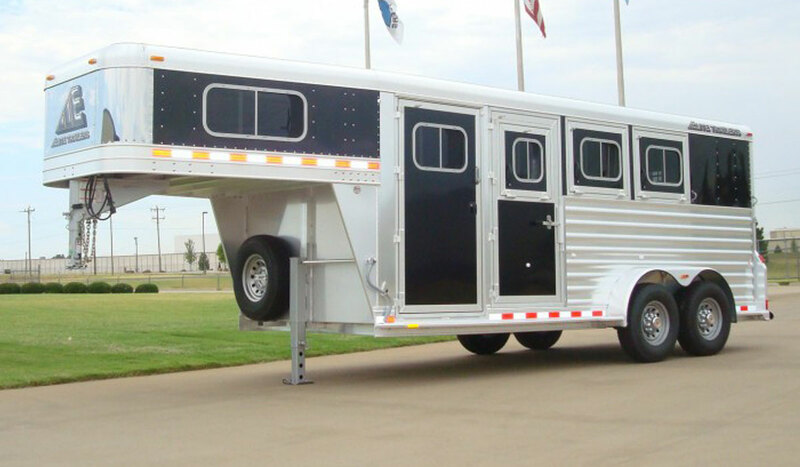 With a heavy duty, engineered structure our horse trailer works hard with you, not against you. 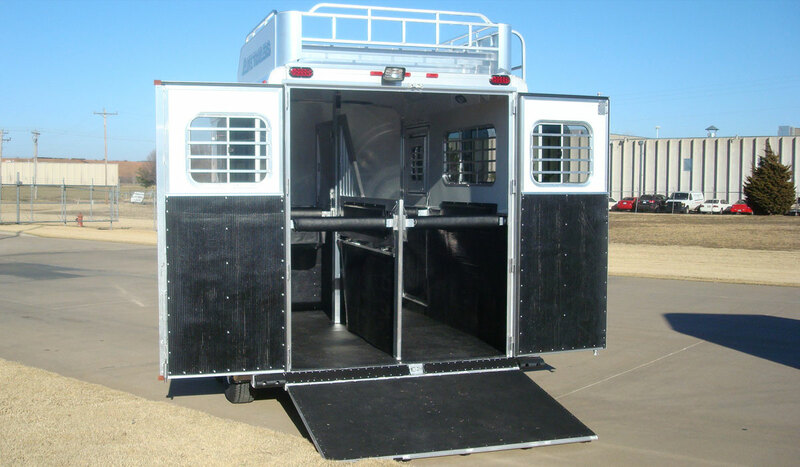 With floor lengths up to 45’, widths of 7’, 7.5’, 8’, & 100”, variable heights and multiple hauling set ups, from slant and straight load models to custom design set ups, we can build a horse trailer to serve you. 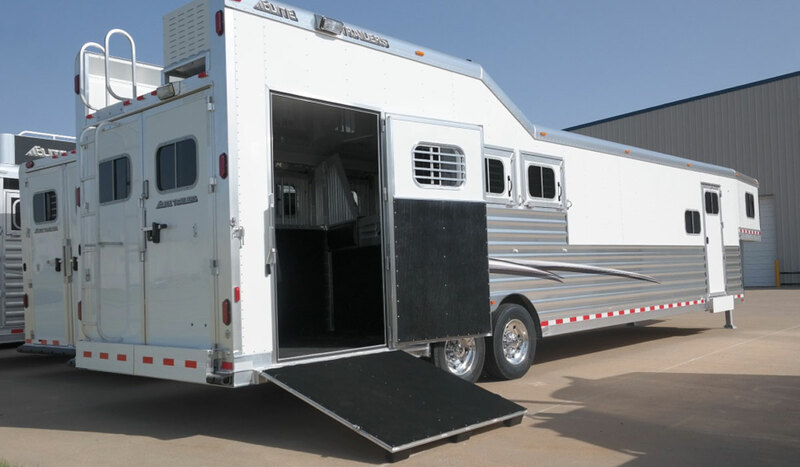 With virtually an unlimited number of options, from side and rear ramps, multiple hay rack designs, aluminum wheels, tack room and horse area options, to one-off customization, we will build a horse trailer that will exceed your expectations. 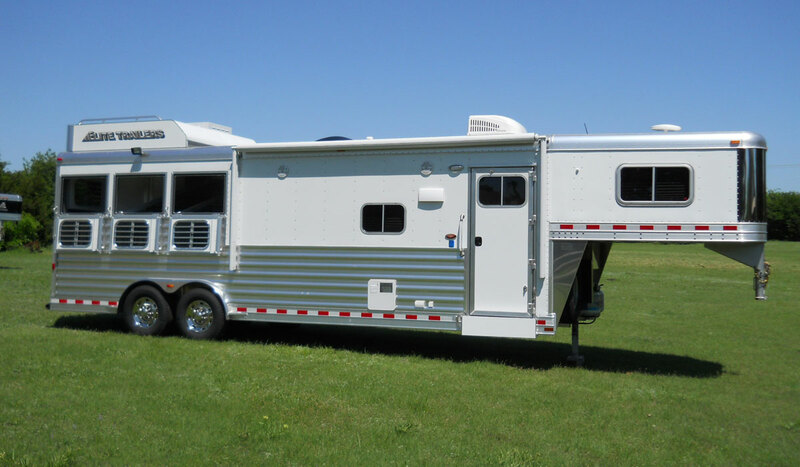 Regardless of the size of trailer that you choose, our horse trailers are designed with both animal and human comfort and safety in mind. 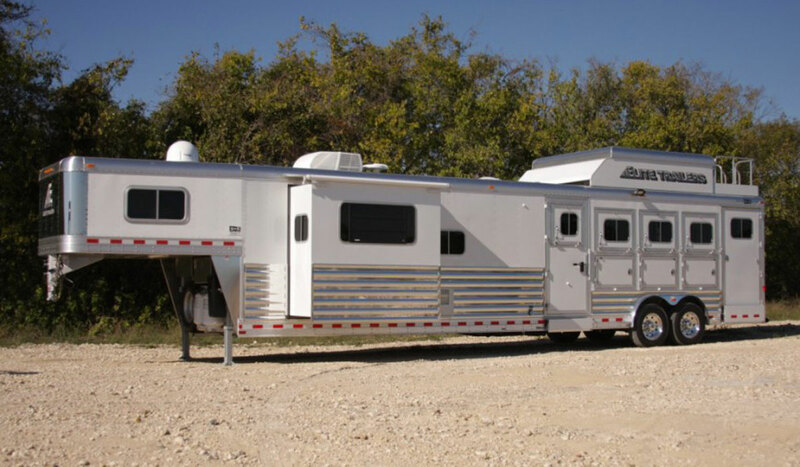 Functional designs with the customized features you want for yourself and your animals. 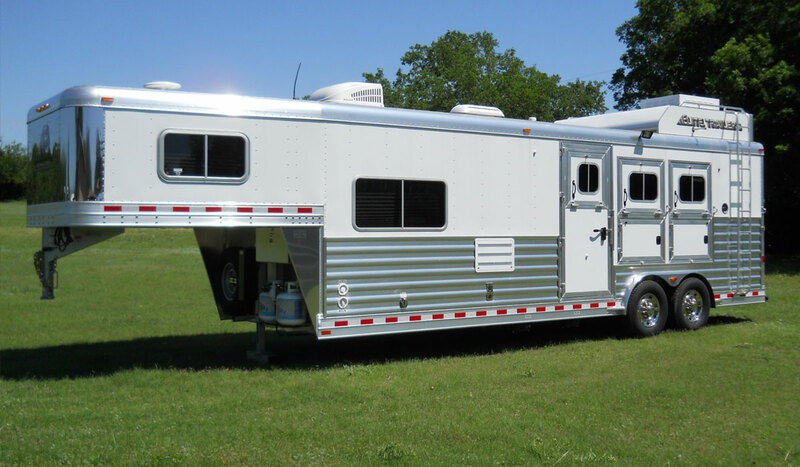 The Horse & Stock Trailer Company will coordinate with Elite to build a horse trailer to meet your requirements.